If there’s one thing you can count on at the SEMA show each year, it’s lots of amazing custom automotive builds, not just from small shops, but in the booths of major automotive manufacturers. 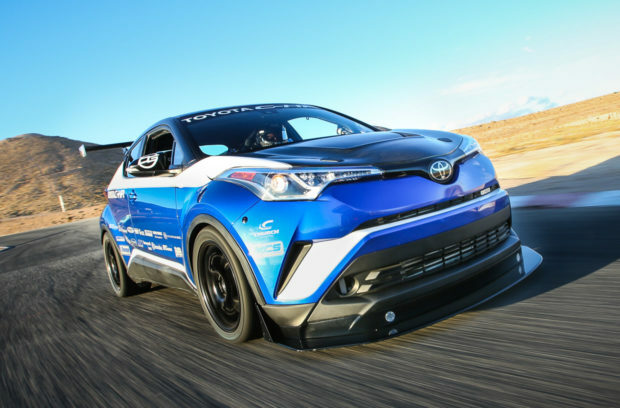 One particularly awesome vehicle headed to the show floor in Las Vegas this week is Toyota’s tricked out C-HR R-Tuned. This impressive build takes the aggressively-styled compact crossover and turns it into a crazy-fast track beast. Toyota teamed up with Dan Gardner’s DG-Spec to build this powerful custom vehicle, which packs an upgraded 2.4-liter Toyota 2AZ-FE engine with forged internals, a reinforced valve-train, and a custom DG-Spec Garrett turbo system with 23 psi of boost. Those mods give the C-HR R-Tuned a mind-melting 600 horsepower and 550 lb-ft. of torque, just a wee bit more than the 144 hp, 2.0-liter 4-banger in the stock C-HR. 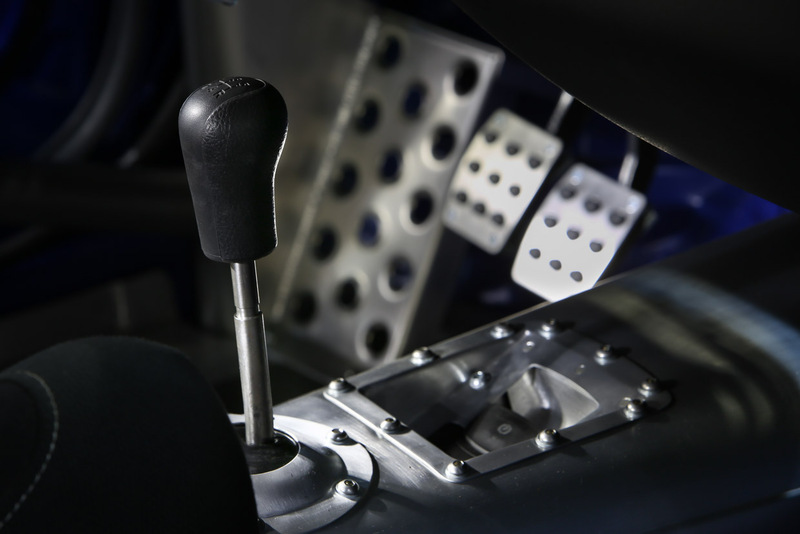 Gone is the factory CVT, replaced with a five-speed Toyota E-series manual gearbox, and three pedals to go with. Brembo racing brakes let this little monster stop on a dime, and DG-Spec motorsports dampers with remote reservoirs help it corner and handle with aplomb. With the help of Toyo race tires, it can produce up to 1.7g of lateral acceleration. 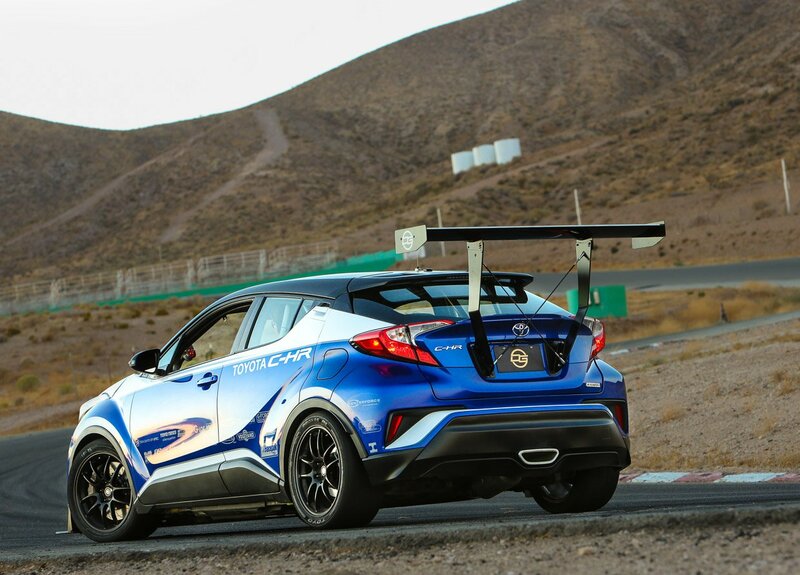 With a total curb weight of 2,960 pounds, the C-HR R-Tuned can blast from 0-to-60 mph in just 2.9 seconds. Custom air dams, an adjustable front splitter, and an absolutely enormous custom rear wing help to make about 300 pounds of downforce at speed. 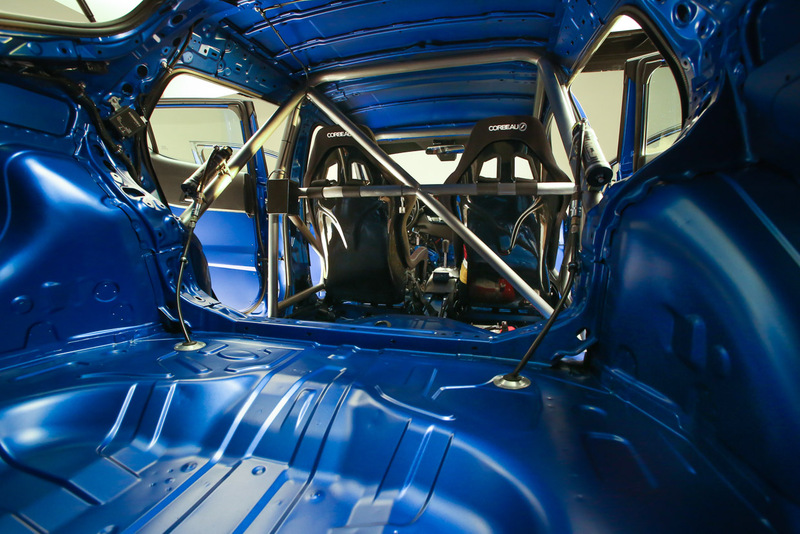 Inside, the crossover has been stripped down to just the essentials to reduce weight, with a pair of G-Force Pro racing seats with 6-point harnesses, and a custom 8-point roll cage for safety. So don’t expect to seat five passengers in this C-HR. 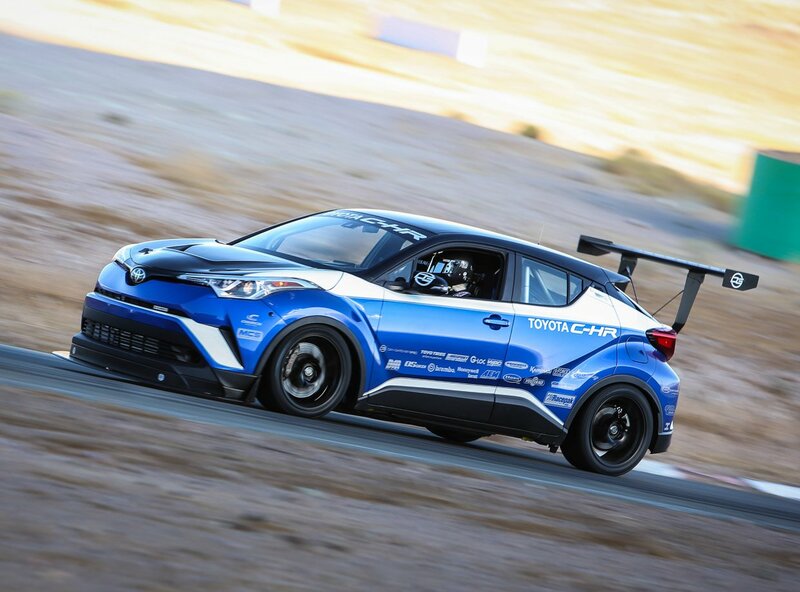 Check out in-car video footage of the C-HR R-Tuned in action below, as the car goes around the Willow Springs International Raceway’s “Big Track” in an impressive 1:25.22, about as fast as a stock Nissan GT-R. I’ve just got one question – when can I take this thing for a ride?